KABUL: Chief Executive, Dr. Abdullah Abdullah, chairing a meeting of the Economic Committee of the Council of Ministers (CMs) said fighting corruption and unemployment was one of the government priorities, his office said Monday. 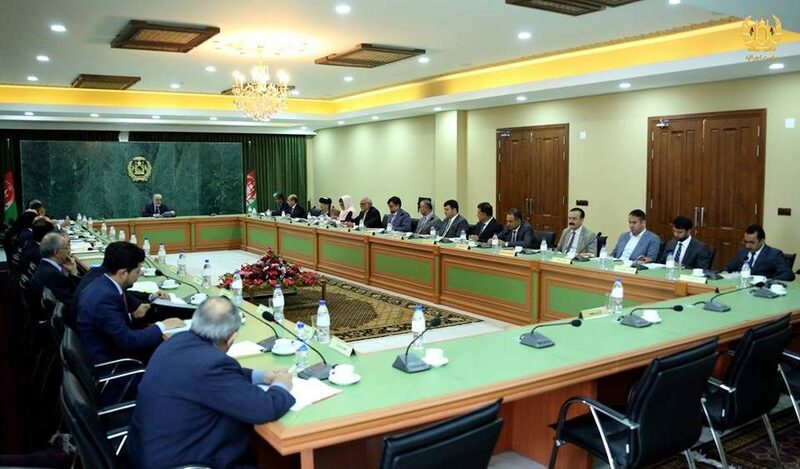 After hearing information about the problems of the Afghan repatriates by the meeting participants, the chief executive, in the meeting which was held at The Spidar Palace, while emphasizing on meeting the problems of the returnees in different fields, instructed the related ministries to set a joint committee to apply the plan as soon as possible and the needed measure to be made in this field, a statement from his office said. The country’s chief executive also called the role of the talented women can play effective role in the development of the society and the ministries of finance and foreign affairs have been tasked to do more for the empowerment of other women, the statement added. Dr. Abdullah blamed poverty and unemployment to be the main causes of majorities of disasters in the society and fighting against he said was the government first priorities. The CE instructed the related organs to cooperate with the ministry of rehabilitation and rural development in practicing the Citizenship Covenant plans to help the life of people improve in rural areas.